Elena joined Peacock Linder Halt & Mack LLP as an associate in 2011. Prior to joining the firm, Elena articled and practised litigation at a major law firm in Calgary. 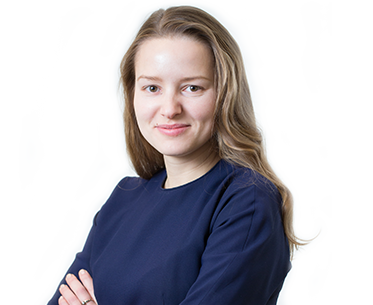 Elena has a general commercial litigation practice. She regularly appears as counsel before all levels of Court in Alberta. She has also appeared in front of regulatory bodies, such as the Appeals Commission for Alberta Workers’ Compensation, the Alberta Utilities Commission, and the Alberta Surface Rights Board. Elena is also fluent in Ukrainian and Russian. Acted on a team of independent supervising solicitors in the execution of Anton Piller orders.